Travelling at Christmas is hard. Travelling at Christmas, by plane, with children is even harder - so the efforts of SAS (Scandinavian airlines) to make things easier were appreciated. Whilst waiting at the gates in Stockholm Arlanda airport for internal flights, Christmas drinks (Julmust) and pastries were offered to all passengers. 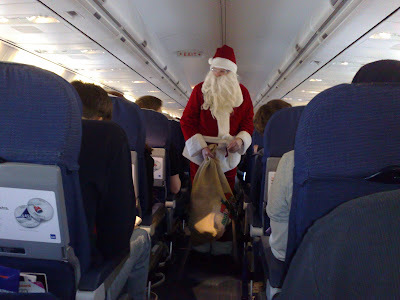 Then once airborne, Santa appeared and walked through the plane, giving a wrapped gift to every child. To my knowledge this promotion was not pre-advertised, it was an unexpected bonus that made a difficult journey easier, with a quality gift well appreciated by the recipients. 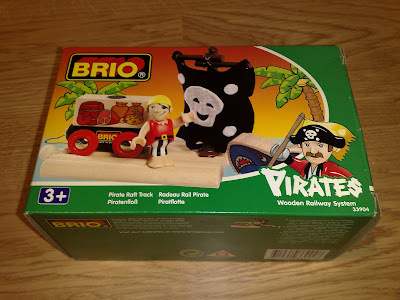 This attitude to customers reflects well on SAS (especially when compared to direct competitors like Ryanair) whilst Brio gain a unique sampling opportunity with a captive target audience. Not knowing about the SAS Santa in advance meant that the impact on us was greater. This was a nice start to our Christmas break and something that we have found ourselves talking about regularly in conversation. Maybe making a big noise in advance of PR activity isn't always the best way of generating positive word of mouth?